Casino Cruise sailed into the online gaming scene in 2014, launched by Genesis Global, powered by NetEnt and licensed by the Malta Gaming Authority and the UK Gambling Commission. It offers a truly large and diverse collection of various casino games developed by top software providers plus a rich promotional library, which makes it pretty sure everyone will find something to their taste. The cruise ship-themed site reminds me of a recent cruise I’ve taken and creates a positive feel from the very beginning. But it’s not just my good memories that make the webpage look great, it’s actually very attractive, fun and inviting. I love the creatively executed Chat “window“ which is designed as an anchor, lowering as I scroll down the page so it stays in my view the whole time. A quick check of the “Browse by category“ button, positioned next to the featured games, opens such user-friendly filtering options that I’m thinking this site will be super-easy to navigate. Numerous social network icons positioned at the bottom further indicate Casino Cruise understands its audience and is not afraid of potential negative impact of this highly viral media. My first impression? I’m impressed! You really can, provided you register and deposit a minimum of £20. Purchasing boarding ticket makes you eligible for a £1,000 Welcome Bonus and 100 Free Spins – not bad at all! True, you will not get it all at once. The first deposit comes with 100% match up to £200 plus the aforementioned Free Spins. The second one will be matched 50% up to $200, the third and fourth with 25% up to $300 each. Free Spins will be delivered over 5 consecutive days, 20 per day, and you’ll get to use them (surprise, surprise) on Starburst. If you don’t like this game – tough! All bonuses, including Free Spins, come with 40x wagering requirements – pretty standard. 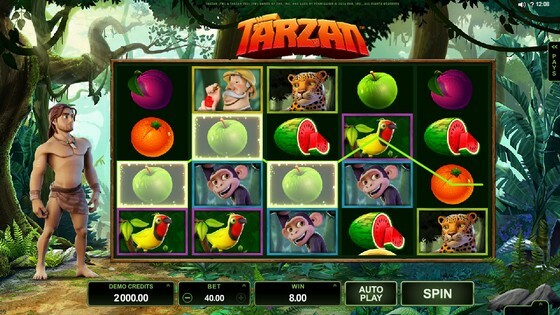 Video slots contribute 100%, classic slots 75%, all table games and live games 10% and, finally, Video Pokers 5%. Again, standard. Pay attention when you choose your banking method because deposits made by Skrill and Neteller will not qualify for this offer. Dear oh dear, where to start? Pool Party takes place every Tuesday and boosts your balance by 25% up to £100. Weekend Freebie awards players who have made a deposit and played during the week. While no specifics are given, reading the respective T&C indicates you’ll be receiving Free Spins. Monthly Splash Bonus allows you to claim two 50% reload bonuses up to £100 each month. Captain’s Treasure delivers free spins daily, but not to all. Only 100 lucky buggers are randomly selected to receive this gift each day. There is also an opportunity to win a luxurious cruise to the West Mediterranean. Every £50 you deposit until 31st March 2017, gets you one raffle ticket.There is only one prize, but boy, doesn’t it sound great: an all-inclusive 7-night trip for two aboard Royal Caribbean International, which departs from Barcelona. Reading about all this cruiser has to offer, I wanna go!! Ok, let’s calm down, there’s more goodies to pick up here. Would you like to earn cash with no wagering requirements attached? Do I even need to ask? Cash Point promo is basically offering just that: play, collect points and exchange them for free cash. You’ll receive 1 point for every £10 bet made (on video slots) and be able to exchange 100 of them for £1 cash. Minimum amount for conversion is 1,000 points and you can redeem up to £5,000 in cash bonuses monthly. Unless you’re a VIP, in which case this amount goes up to £20,000. Clearly, VIP players get to enjoy additional benefits, so how to become one? The Casino says: „Once you’ve earned the required points, our VIP department will contact you personally to extend an invitation“. They don’t tell me how many points I need exactly, so I guess I just have to play like crazy and keep my fingers crossed I get invited to the Captain’s Club. Deposits & Withdrawals: OMG, the Choice! Payment methods currently available include debit and credit cards (Visa and MasterCard), E-Wallets (Skrill, Neteller, Eco, Moneta), Paysafecard, Bank Transfer and about a zillion Instant Banking options. The latter include iDeal, Euteller, Sofort, WebMoney, GiroPay, Dotpay and about 20 others. Oh yes, there are also 3 mobile payment methods, namely Dotpay SMS, Zimpler and Payforit. Wow!! The minimum deposit accepted is £10 and the max you’ll be allowed to pay into your account in any one transaction is £5,000. Withdrawal requests will be processed instantly (!!!) if you’re using one of the E-wallets and should take 3 to 4 working days in case you opted for credit/debit cards or Bank Transfer. You’ll be able to withdraw the maximum of £22,000 per month and no more than £5,500 per week. Unless, again, you are a VIP. 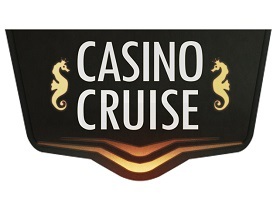 Casino Cruise offers a fantastic collection of close to 800 games developed by top software providers. Microgaming alone is accountable for about half of the games available, so if you’re a fan, look no further. NetEnt, Play’n Go and Nyx are also well represented, each with about 100 various products. With such an abundance, good filtering options are super-important. Games can be displayed by category, alphabetically and by the provider – not bad, but there’s room for improvement. Clicking the Collections tab will reveal several themes, such as Animal Lovers, Film & TV, Science Fiction and a couple more. I’m ecstatic seeing that games can be accessed online, no download needed (honestly, my free disc space is down to a minimum and I’d struggle to do it). Can I play for fun? Well, yes, I can – Practice button launches the game immediately, while I’m not logged in. I’m counting about 600 slots and, scrolling down (little Chat anchor faithfully following), it’s clear all of the popular titles as well as new releases are accounted for. Wait, what is Turning Totems doing in the Nyx section? Clearly this is a Thunderkick product which delivers a fun execution of spinning reels. Another one which doesn’t belong is Taco Brothers Saving Christmas (you have to try hugely entertaining Wild Escape Bonus Game), developed by Elk Studios. So what is there that’s actually from Nyx? Manic Millions is a fun take on Frankenstein theme and Justice League lets you play with all your favourite DC Comics characters. You can also enjoy Merlin’s Magic Respins, interactive and innovative slot packed-full with lucrative features, and another highly-rewarding Nyx classic, Foxin’ Wins Again. As far as NetEnt goes, everything you know and love is here, including the inevitable Starburst. But as you’ve surely already played that one many times, perhaps you’d prefer to spin the reels of a newer release such as Warlords: Crystals of Power. I will not even try to list popular Microgaming titles; if you saw the number of their featured games, you know you’ll find just about everything here. Including the new Tarzan. Looking at Play’n GO collection, I can see all of my favourite games, namely Riches of Ra, Energoonz, Pimped, Eye of the Kraken, Grim Muerto, Hugo and 7 Sins. Heck, I could stick around forever. 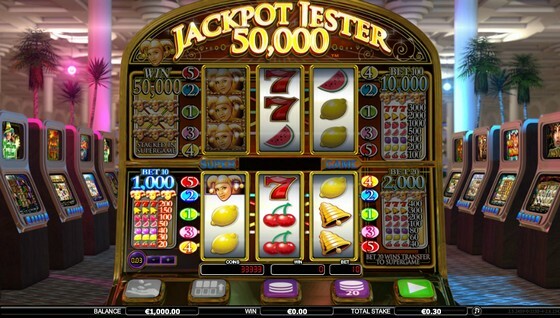 If you like your fruits, play the popular NetEnt’s Jackpot 6000 or Jackpot Jester 50,000 from Nyx, the latter giving you a chance to collect as much as 50,000 coins. Highly volatile Break Da Bank Again is riding on the success of its 3-reel, 5-payline predecessor. Irish Gold by Play’n GO provides wild pot of gold and scattered clover, making it a simple and fun choice for you traditionalists out there. Jingle Bells by Microgaming has long been one of the most popular classic slots around, for reasons I can’t explain. Perhaps it’s due to the fact it can pay up to 6,000 times the wager, provided you play all 5 paylines? Have you ever dreamed of getting rich overnight? Well, why take so long when all it takes is one spin. Casino Cruise offers about 20 progressive jackpot games which include some of the most generous ones in the online gaming world. 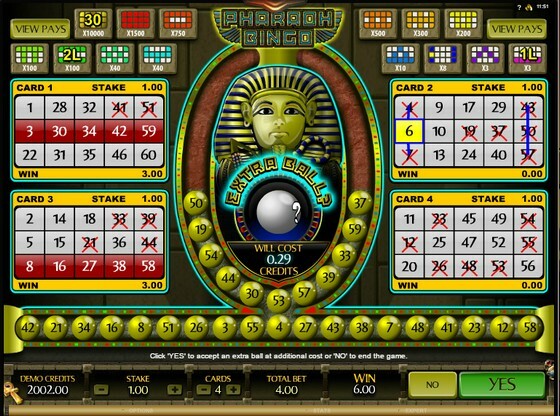 NetEnt tempts us with Hall of Gods and its £1.5 million jackpot, and £2.2 million Mega Fortune. The most rewarding Microgaming progressive jackpot games include Mega Moolah (wouldn’t mind winning that one!) and King Cashalot. Majority of 20+ live table display 24/7 opening hours so you can indulge in your favourite live casino game whenever you feel like it. Courtesy of Evolution and SG Interactive, fans of live action get to play European, French, Immersive and Roulette Dragonara, join one of 10 Blackjack tables with different limits, play Baccarat or Baccarat Squeeze, and Casino Hold’em. In my opinion, Evolution Gaming is one the best providers of live games out there. Apart from continuously proving to be innovators, their games come complete with a choice of game views and features such as Chat, Game History, Statistics, Hot and Cold numbers and more. Their Immersive Roulette was awarded EGR’s Game of the Year 2014, and rightly so. As the wheel is spinning, you can see and follow every movement of the ball, in 200 frames-per-second HD video and a slow motion replay of the winning number/colour. Casino Cruise library provides more than 60 table games and I consider that to be a serious proposition. 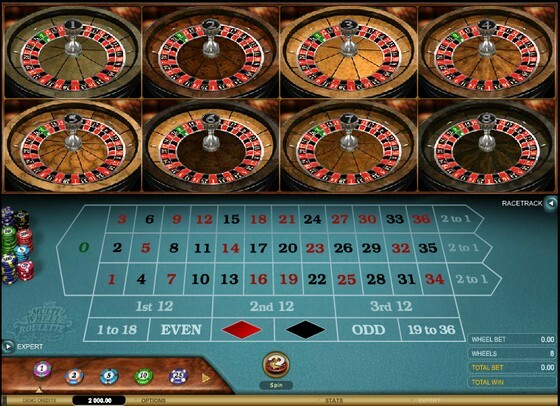 Every popular Roulette variant is here, including English and Multi-wheel. Numerous Blackjack games give you a choice of Vegas Strip BJ Gold, Spanish 21, Hi-lo 13 European and many other interesting varieties. Cyber Stud, Oasis, and Triple Pocket Hold’em are some of the poker games available. There is only one Baccarat table added to the mix. 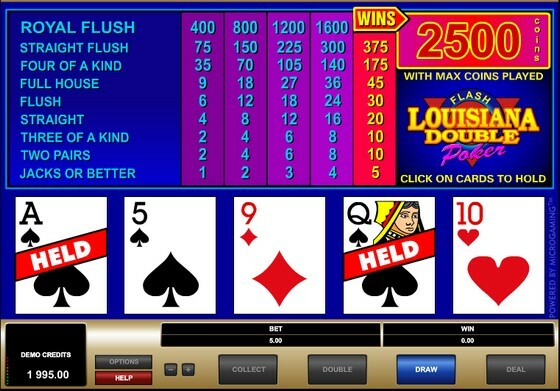 Perhaps poker fans, like myself, will enjoy Video Poker section more, simply because there are 30+ games to choose from. Apart from the usual Deuces Wild, Joker Poker and such, we can also play Louisiana Double and All American. fancy a game of Louisiana Double? Wow, this library just keeps on giving! Among almost 60 other casino games, you’ll find a good selection of virtual games, some Scratch Cards and possibly one of the best collections of Bingo. Samba Bingo, Electro Bingo, Pharaoh, Mayan, Bingo Bonanza… some of these I’ve never even seen before! Should you not be happy with the amount won as the result of numbers drawn, Pharaoh and Mayan Bingo will let you buy additional balls to potentially increase your win. A convenient Help button placed on the right opens up a helpful menu which allows me to access FAQ, Rules and Payment sections, or contact the Casino directly via Live Chat, phone or email. They are also offering to call me back, an option I don’t think I’ve seen elsewhere. Nice! An additional piece of good news is that support staff can be reached 24/7 so you’ll never be stuck for long. I read that Casino Cruise boasts one of the highest staff-to-guest ratios, another guarantee assistance will be given immediately. As if that wasn’t enough, this is one online gaming establishment which is truly active on social networks so you can also use Facebook and Twitter to engage into one-on-one communication. After having checked all of the above, I have no doubt mobile site will not disappoint me. And indeed it doesn’t! Launching it on my Android tablet, it looks great, is easy to navigate and offers loads of games to play when I’m away from home. If 350+ gaming options, including numerous live games, don’t satisfy you, then I don’t know what will. The only thing I’m missing is my faithful companion, the little chatty anchor. I’m kind of a perfectionist and will therefore always find something that should be improved. But to be honest, this time I’m struggling. Casino Cruise simply has it all! Secure, friendly and fun, it provides tons of options when it comes to games, promotions and banking options. They are there for you whenever you need them, doing a great job with the mobile offering and numerous contact options to be used any time of day or night. So what can I say, except: board this cruiser at once and start enjoying its amazing offerings as soon as possible.